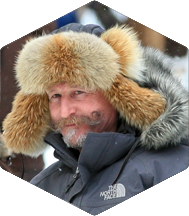 Expedition Wolf was born out of passion for dog sleds and huskies. It came about in the mid nineties just as the Mont Tremblant resort was expanding. 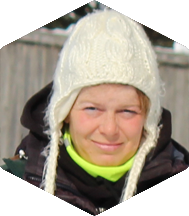 It’s founder, Abitibian Gaëtan Lambert has owned sled dogs for over forty years. 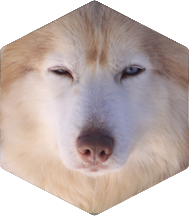 Originally the pack consisted of roughly twenty huskies and a couple of guides. Today, the family has expanded to 220 huskies half of which were born within Expedition Wolf, the others being abandoned dogs which we have retrieved. During the winter season our crew consists of roughly 20 employees, mainly guides. 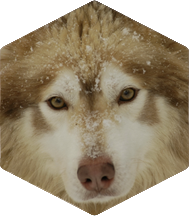 As members of Adventure Ecotourism Quebec and in strict compliance with MAPAQ and SPCA norms, Expedition Wolf aims to be a beacon in the dog sled world. 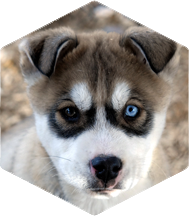 Our dog pack consists of 220 huskies half of which were born within Expedition Wolf, the others being abandoned dogs which we have retrieved. 80% of our females and 30% of our males are sterilized to control birth rate. Our dogs are vermifuged, vaccinated and cared for by a team of veterinarians from Mont-Tremblant. Retired dogs are kept well after their active duty days. They are excellent at training juniors on short distances. They are kept in heated dog houses during the winter season. For your reassurance, a MAPAQ license is compulsory for any company or person who own 15 or more dogs in order to insure the well being of the animals. Each year, a complete check-up of the premises is conducted by this government agency. Our license number is 1509437-0002-1. Many dogs we have are now retired. We keep them all. Many of them are rescue digs and have lived in houses in the past. So many of them could be adopted and have a well-deserved retirement. Please contact us if you want to help us in our good cause and take care of a retired dog. 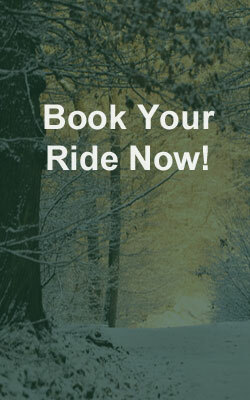 During the winter season our team consists of 20 employees, mostly guides. Many are adventure tourism graduates from CEGEP St-Laurent. 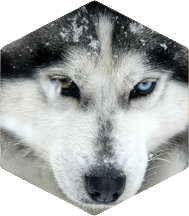 Others are dog specialists, some with up to 20 years experience with dog sleds. Heading this team is Gaëtan Lambert, owner of sled dogs for more than 40 years and Sophie Gaulin, a certified accountant by trade and a musher guide for 16 years. Newcomers join our team each year and gain experience of their own. We also welcome interns from CEGEP St-Laurent, France and adult schools each winter. Our affiliation to Ecotourism Adventure Quebec guarantees the level of professionalism of both our trekking management skills and that of our team. Last inspection dates back March 2015. “Expedition Wolf, a very professional firm in it’s know-how and attitude. A team of guides dedicated to their visitors in their reception as well as their activity supervision.